World’s one of the best photo sharing website, Pinterest is founded in the year 2010 and have above 100 million monthly users, with about 45% of users outside the US. The company now debuts a shopping service which allows its users to buy products that you can see in the photos. 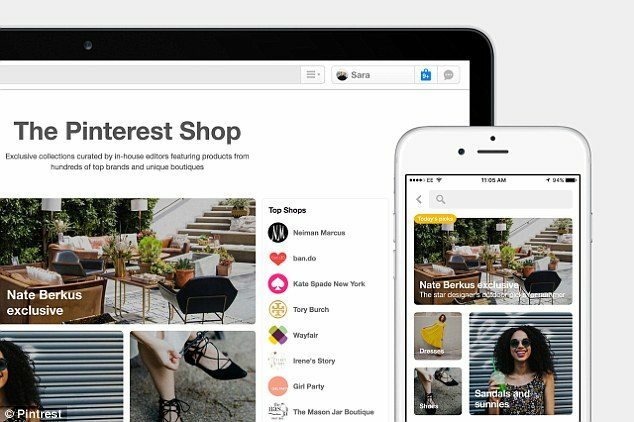 This shows that Pinterest is putting efforts to enter in to the field of online shopping. Company’s founder and CEO Ben Silbermann have announced few new features on Tuesday at the headquarters in San Francisco. The features are actually designed to attract more users and to make it easier for the users to shop on Pinterest. Users can now buy any item they look in the pictures. You can also buy items which you may not find the real time. The new features include, taking a snap of any item or object that you find in the real time and quickly looking for that object on Pinterest. So, this new tool of Pinterest will help you a lot when you are unable to ask someone about their lovely hand bag or a pair of shoes. This object detection is possible through the ‘visual search’ on iOS devices only. “When you’re ready to check out, everything you’ve added to your bag will be right there waiting for you,” Tim Weingarten, product manager at Pinterest wrote in a blog post. A year ago the mobile application company has entered in to e-commerce with buy buttons, “pins” which allows users to shop products that they can see on the bulletin boards. Till Tuesday, users could access this buy buttons only through Android and iOS apps. Now, the announcement brings the buy button to the web which allows users to shop who browse boards on their desktops or laptops. This all new “camera search” tool will be made available to users in the coming months and users can also experience the ‘automatic detection’ feature within a couple of weeks. Instagram to add Translate button in coming month!